For the past few days i have been reading 'Kana de Manga' (link), more as a form of a revision, but also to use my kindle a bit more than i had been. 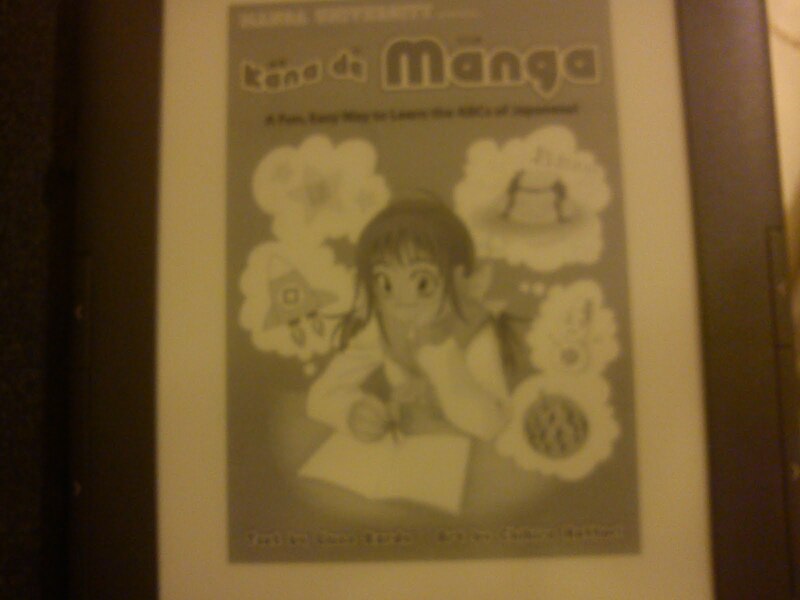 'Kana de Manga' starts off with a small introduction with pointers on how best to pronounce words in Japanese. This is always a useful addition, as this was one of the ways that i discovered the best pronunciation for the vowels in Japanese, especially as to a native English speaker it can be quite confusing for the letters I and E as the sounds are reversed in Japanese. 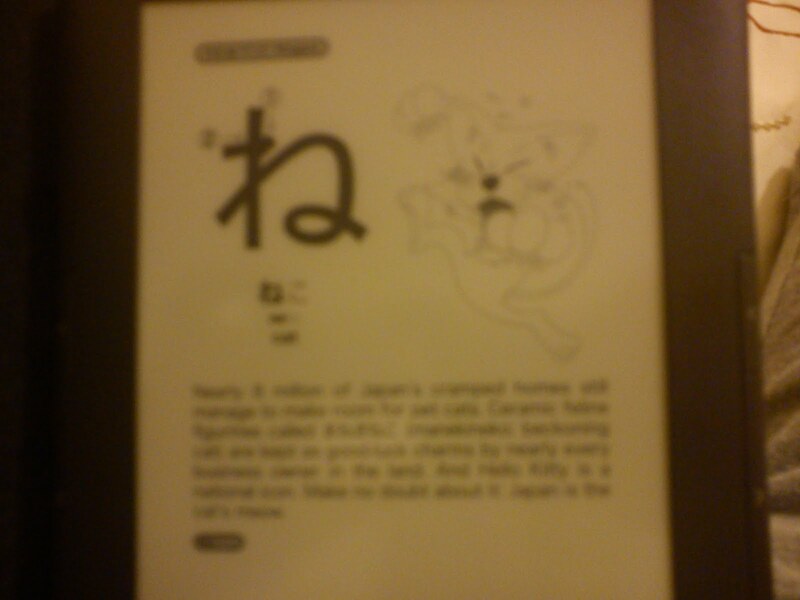 The image of the character (be it either the Hiragana or Katakana, which are the 2 basic writing systems of Japanese if you did not know, and Kanji is the 3rd and most extensive writing system) is displayed at the top of the screen, with the correct way to write the character shown aswell. This is because some characters are meant to be drawn certain ways, so just writing the character as you see it is not always the best approach. The order of writing the strokes applies more to Kanji, as it can be incredibly difficult to write some Kanji characters when you have wrote the last line first, for example. which is the Japanese word for Cat. This serves two purposes, one showing the character in a word, and also teaching you a new word at the same time. Even though i was using this eBook as a revision tool there were a few words that i had not learnt previously in here, so i expanded my vocabulary as well. I would definitely recommend this book to anyone beginning the language, as even if you have learnt the Hiragana and Katakana characters there is quite a large amount of vocabulary that can be learnt from this book. The book may seem confusing at first, as most students would prefer to learn all of Hiragana then Katakana or vice-versa, as the book shows the same letter in hiragana then immediately in katakana, but this may just be my opinion as that is how i learnt both of these systems. Either way, it would be money well spent for anyone seriously thinking of, or already is, studying the Japanese language.